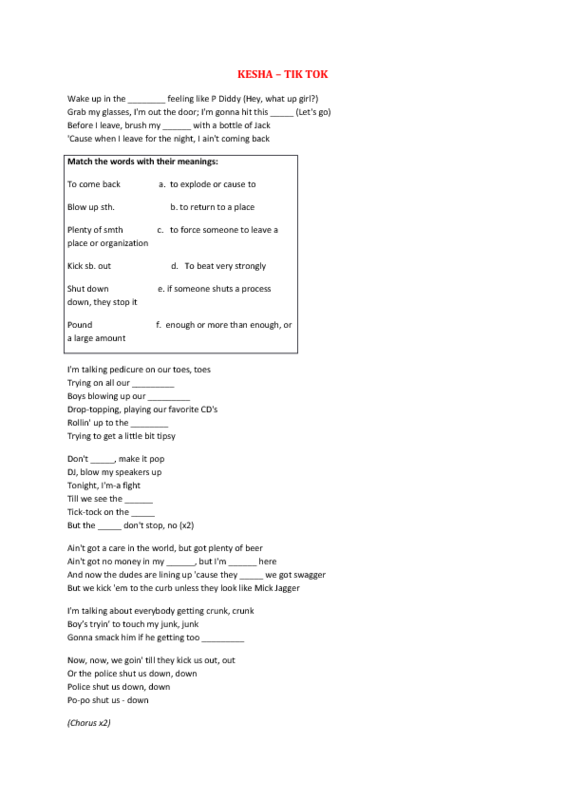 This is a fun, song worksheet for pre-intermediate/intermediate students who might get bored at class after a long lesson. The song is Tik Tok by Kesha. 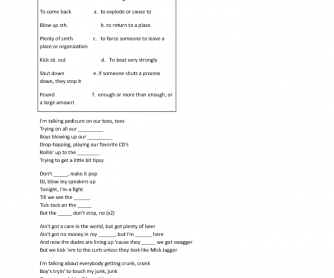 Students are to fill in the blanks and match a few phrasal verbs with their meanings. Vocabulary is not given in advance so that students can listen & understand the words themselves.